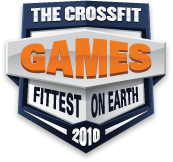 With the 2011 CrossFit Games season only a few months away, preparation for the Games is heating up. If there is anything we have learned from years past, it’s that previously low-profile athletes will come out of nowhere to challenge CrossFit’s elite. Last week we covered a few American athletes who have been showing their abilities in local CrossFit competitions. 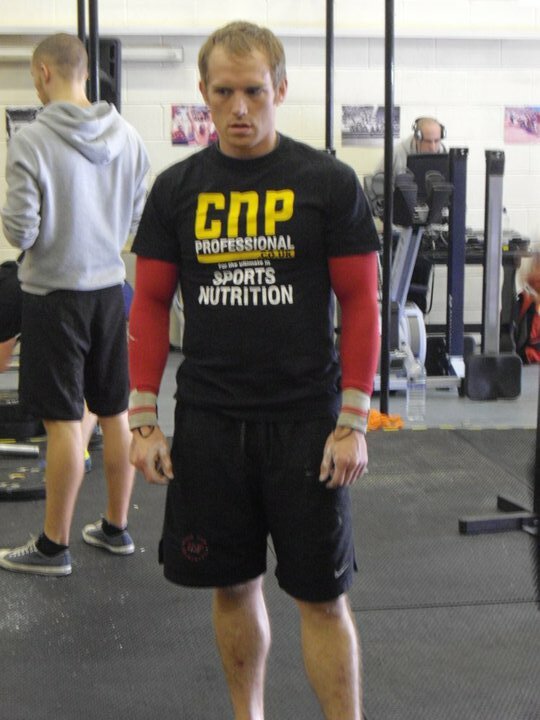 Today we cross the pond to expose a few of the strong European CrossFitters. We feature a former Icelandic National Team swimmer who's just starting to find his talent for CrossFit, a Biotech grad student who came close to qualifying for the Games last year, and a couple athletes who qualified for the European Regional but were not able to compete due to pregnancy and family emergency. Númi Katrínarson is new to CrossFit but already making his presence known at European CrossFit competitions. Just seven months after starting CrossFit he won the Swedish CrossFit-SM Challenge, one of the largest unsanctioned CrossFit competitions in Europe with 68 competitors. To win he had to overtake 2009 and 2010 Games competitor Sveinbjorn Sveinbjornsson and he succeeded handily. 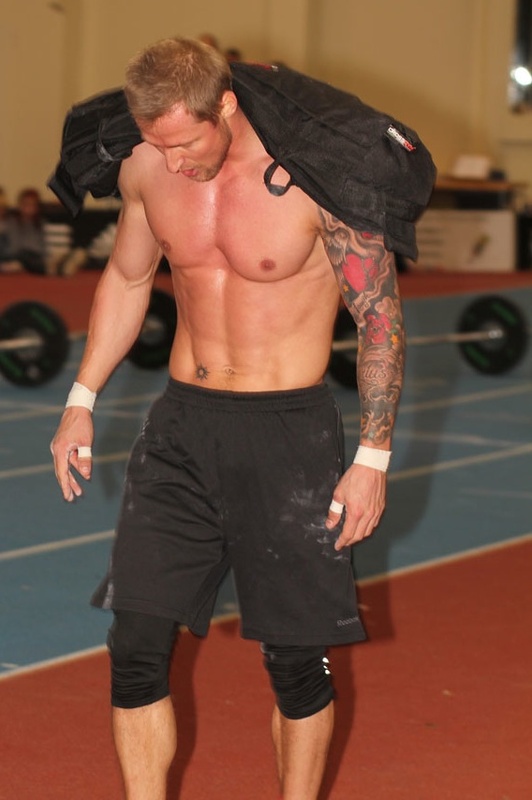 Earlier in the year he competed in Denmark at the FIT AS FU*K CrossFit Challenge and placed 15th out of 106 competitors. Númi was born and raised in Iceland, and spent years swimming on the Icelandic National Swimming Team. After leaving the team, he spent time searching for another sport that felt like “his thing.” He tried biking, triathlons, and taught spinning and ‘body pump’ classes for a few years. In April 2010, he started training at CrossFit Nordic in Stockholm, Sweden. He took classes until his SM win, and now follows the programming of Rickard Walén. Rickard is working on Númi’s technique, strength, and posterior chain mobility/flexibility. With so few months of CrossFit behind him, we suspect that we’ve yet to see what all Númi can do. Satterley is a rugby player, strength and conditioning coach at Hartpury College in Gloucestershire, and CrossFit athlete from Wales. He claimed 1st place at the 2010 UK and Ireland Sectional, but did not show for the European Regional. At the time of the European Regional he was tending to his wife who, while pregnant with their second child, had been involved in a car crash. Fortunately his wife and child are safe and he is back on track for the Games. Did not attend 2010 European Regionals due to a family emergency. Frederik Ægidius is an American-style football player out of the CrossFit Butchers Lab in Copenhagen, Denmark. In 2008, he and his Copenhagen Towers teammates went to CrossFit Butchers Lab to get ready for the football season and a few, including Ægidius, stayed with it. He has competed in several local CrossFit competitions, 2010 North European Sectional, and 2010 European Regional but has yet to make it to the Games. He is currently in his last year of study for his Masters in Biotechnology at the Danish Technological University. Danish Team Christmas CrossFit Challenge, Dec. 2010: 1st place with Sarah Lindasdatter Troelsen Krarup. Sarah Lindasdatter Troelsen Krarup is the owner of CrossFit Royal Danish Defence College in Copenhagen, Denmark. In addition, she works as a lawyer, runs the FIT AS FU*K blog, and maintains a position in the reserve of the Royal Danish Army where she serves as a linguistics officer in Arabic and legal advisor to the Navy. Despite her heavy workload she manages to train and compete with CrossFit. This year she has been working around pregnancy and recovery. Early in the year she claimed 1st at the Danish CrossFit Open while pregnant, skipped the European Regional, then gave birth to her son Carl, now five months old. Just three months after giving birth she took 8th at the Swedish CrossFit-SM Challenge and a month after that took 1st at the Danish Team Christmas CrossFit Challengealongside Frederik Ægidius. Sarah grew up competing in many sports including gymnastics, classical ballet, capoeira, and short distance running. She’s thrilled by how quickly she’s regaining strength after pregnancy, and it’ll be interesting to see what she can do when her body is not encumbered by pregnancy.